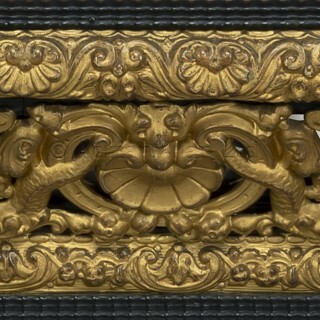 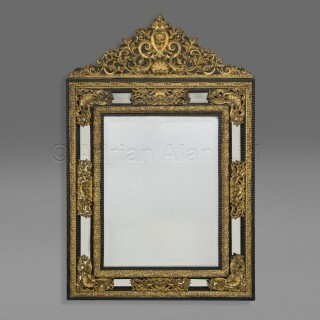 An Impressive Louis XIV Style Ebonised and Gilt-Bronze Mounted Mirror. 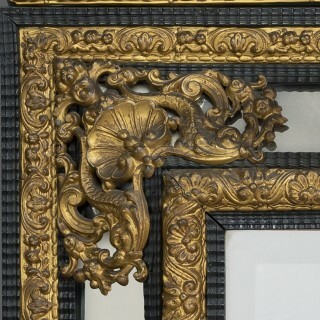 Dating from the second half of the nineteenth century this fine mirror has a rectangular mirror plate framed by wide borders with gilt-bronze mounts of shells and acanthus, within wavy moulded ebonised slips. 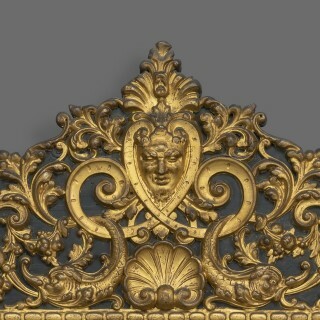 The mirror is surmounted by a triangular scrolling pediment of acanthus scrolls and centred by a mask above a scallop shell and adorsed dolphins.